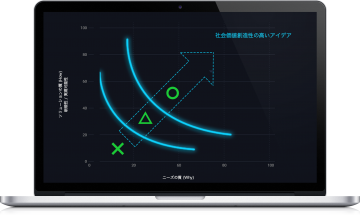 ideagram (AI-based idea creation and evaluation tool) by VISITS now on sale! 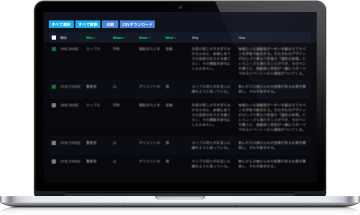 TOKYO, 18th October 2017 – VISITS Technologies, a HR Tech company which aims to provide services which allow users to expand their options in life, has just announced the start of sales of ideagram. ideagram (https://i-deagram.com) is a “Design Technology” product which uses AI to draw out the creativity of people. Masaru Matsumoto, the CEO of VISITS Technologies, was formerly a trader at Goldman Sachs. He was one of the first people to use AI, which was then not well regarded, in the field to set up his own hedge fund using automatic trading. 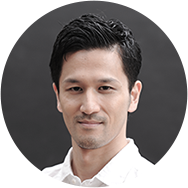 Masaru has experience in quantitatively analyzing the activity of players in the stock market and he felt that this experience could be applied when investigating human behavior from a scientific standpoint. Thus, VISITS OB was born from the application of science into recruitment and more recently, ideagram was born from the application of science to ideas. ideagram consists of participants taking 2 different tests. 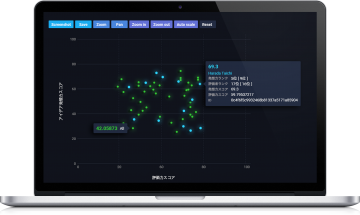 Through running the test results through an algorithm (patent application in progress), the test is able to assign a score to participants’ creativities. These scores can be used when creating new business ventures, assigning manpower, recruitment, staff training among other uses. ideagram includes VISITS’ original ideation technology based on Design Thinking and is able to stimulate the creativity of participants. Through using the online tests which ideagram provides, clients are able to obtain a full list of good ideas. The responses to the online test are passed through VISITS’ original consensus algorithm, through which the value of each individual idea can be quantified. This score takes into account the originality, impact and feasibility of the ideas presented. The test, in addition to the above, also can numerically calculate an individual’s creativity and judgment skills. Creativity is calculated based on the 5W1H combinations used in the individual’s answers, the evaluations given to the individual’s produced ideas by the other participants as well as the individual’s own judgment score. Up till now, companies have defined “talent” as people who are able to work quickly and efficiently to produce high-quality deliverables in pursuit of a given goal or mission. However, with the extremely rapid advancements in AI as of late, we are approaching an era where computers are able to produce solutions to given problems much faster than any human could. This is the crux of the fears that AI will replace jobs that humans are currently doing. However, is AI really omnipotent? AI, unlike humans, does not possess the capacity for empathy. AI, when observing an unhappy person, is unable to empathize with them. Nor is it able to think about what would make them happy. This capacity for empathy is what AI cannot emulate, and is both humanity’s biggest treasure as well as our “last line of defense”. If empathy is the base for any kind of human goal setting, then AI is unable to set valuable goals. Coming times will usher in an era where both humans and AI have to specialize in what they are good in to co-exist. In other words, a world where humans creatively set goals to work towards and where we leave AI to figure out the best path to achieve them. We, VISITS Technologies, want to create as many people as possible who are able to contribute to society in this new era and to create a society where people can enjoy their work. Through making creativity tangible, and through providing the means to nurture this creativity to the world, we want to allow as many people as possible to realize their potentials. We want ideagram to also serve to highlight the need for creativity in the world and for it to be the impetus for a burst of exciting developments in the future. Company Name: VISITS Technologies Inc. VISITS Technologies aims to show to everyone their possibilities, and allow them to design their own life paths through the use of technology. It currently operates VISITS OB, a career design platform, as well as ideogram, an idea creation and evaluation tool.